Taken from The Truth by Wilhelm Behrens, who was in charge of prisons in Brussels at the time of the execution. Le Seur was the chaplain appointed by the Germans to minister to the prisoners. This is a remarkable and moving account of the last moments of Edith Cavell, and reflects well on both Miss Cavell and M. Le Seur. It contains details of the execution which you may find upsetting. ‘How much time will they give me ?’ Miss Cavell inquired. For one moment her cheeks were flushed and a moist film passed over her eyes — but only for a few seconds. I offered her my services as a pastor, and stated that I was at her disposal at any hour of the day and night, but she declined it politely but definitely. ‘Can I not show you some kindness ?’ I said. ‘Please do not see in me now the German, but only the servant of our Lord and Saviour, who places himself entirely at your disposal.’ She then inquired whether it would be possible to inform her old mother in England, who was about eighty years of age, so that she might not learn this first of all through the newspapers. I gave her my promise that I would do everything that was in my power for this, and I kept my promise. But it was a burden upon my heart that I might serve her soul in her bitter need. Therefore I did something which I really had not a formal right to do. I understood deeply that from me as a German in the uniform which she doubtless hated, she could not receive any spiritual help. In addition, according to the principles of her Church, it was scarcely possible for her to receive the Sacrament from a pastor who did not belong to the Anglican Church, but I knew the Anglican chaplain in Brussels, the Rev. Gahan, very well, as a very pious Irishman, who, moreover, had been permitted to carry on his religious duties without any trouble during the whole period of the occupation. I therefore asked Miss Cavell whether she wished that the Rev. Gahan should come to her to enable her to partake of the Holy Sacrament. Thereupon her eyes lighted up, and with great joy she accepted the proposal. Finally I told her that it was my duty to stand by her side at the last. Should I make an effort that Mr. Gahan should do this in my place? I told her that it was, indeed, very doubtful to me whether it would be permitted. She declined this most definitely. It would be much too heavy for Mr. Gahan, who was not accustomed to such things. ‘Ah, Miss Cavell, I also am not accustomed to it,’ I said, ‘but shall I be rendering you a service if, instead of meeting you first outside on the Tir National, I come and fetch you here ?’ She accepted this offer gratefully. I said a few more words of Christian comfort to her from a deeply-moved heart, and then we parted from one another with a warm handshake. I hastened to Mr. Gahan, but he was not at home. What was I to do ? He had to be informed, but the matter was, of course, a strict secret. I left, therefore, a little note for him, in English: he was to come to me as soon as possible with his articles for the Holy Communion. It was a question or a dying member of his parish who was longing to see him. With a heavy heart I went home. It was about eight o’clock in the evening when the English clergyman at last came to me. When I explained confidentially to him what was involved, he almost collapsed. With the permit which I had obtained for him from the officer in command of the prison, he then went out to St. Gilles. He told me, later, with the express permission to repeat it, that Edith Cavell, immediately before partaking of the Holy Communion, had stated that now, as she stood on the verge of eternity, she saw that patriotism was not the highest thing, and that one should hate no one, but love all. At the first grey of dawn, with a heavy heart, I got into the motor car and drove out to the prison. I sent in my name to Miss Cavell. If I remember rightly, the soldier told me she had just been kneeling at her table. In the cell a flickering gas-flame was burning. Two large bouquets of withered flowers, which had been standing there for ten weeks, awakened the impression of a vault. The condemned lady had packed all her little property with the greatest care in a handbag. I accompanied her through the long corridors of the great prison. The Belgian prison officials stood there and greeted her silently with the highest respect. She returned their greetings silently. Then we boarded the motor-car which awaited us in the yard. A few moments later the Catholic priest, P. Leyendecker, and the other condemned person, M. Baucq, an architect, about 35 years of age, came out at the same door. Baucq went up to each one of the German sentries who were standing about, gave them his hand, and said in Flemish: ‘Let us bear no grudge.’ Then the two motorcars drove out in the early morning hour. I sat beside Edith Cavell in order to accompany her — to her own burial. Then I led her a few steps to the pole, to which she was loosely bound. A bandage was put over her eyes, which, as the soldier who put it on told me, were full of tears. Then a few seconds passed, which appeared to me like eternity, because the Catholic clergyman spoke somewhat longer with M. Baucq, until he also stood at his pole. Immediately the sharp commands were given, two salvoes crashed at the same time — each of eight men at a distance of six paces — and the two condemned persons sank to the ground without a sound. 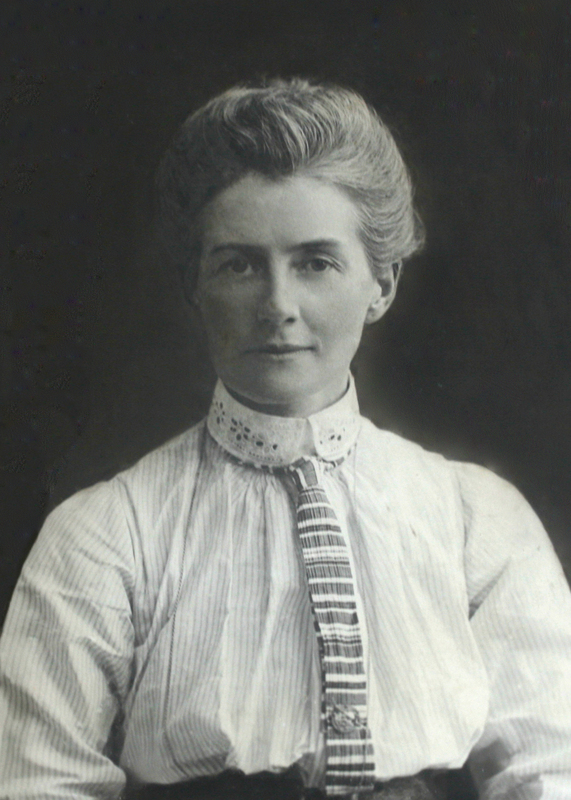 My eyes were fixed exclusively on Miss Cavell, and what they now saw was terrible. With a face streaming with blood — one shot had gone through her forehead — Miss Cavell had sunk down forwards, but three times she raised herself up without a sound, with her hands stretched upwards. I ran forward with the medical man, Dr. Benn, to her. He was doubtless right when he stated that these were only reflex movements. Indeed, exactly the same physiological process was described in the gruesome murder scene in Oscar Wilde’s novel, ‘The Picture of Dorian Grey’. Self-control could not go so far, surely, as to prevent a human being in this position from giving a sound if he were still conscious. The bullet-holes, as large as a fist in the back, proved, in addition, that without any doubt she was killed immediately. I only mention this fact because untrue rumours have been connected with it. A few minutes later the coffins were lowered into the graves, and I prayed over Edith Cavell’s grave, and invoked the Lord’s blessing over her poor corpse. Then I went home, almost sick in my soul.